Falck has joined the UN Global Compact initiative and thereby formalised its commitment to contribute to a socially, environmentally and economically sustainable development. Falck is a global provider of emergency response and healthcare services with a presence in 31 countries around the world. Social and ethical considerations are basic components of the day-to-day operations, both internally among Falck employees and externally with clients and business partners. “We see the UN Global Compact as an important framework for our sustainability efforts. By committing to its ten principles, we pledge to align our strategies and operations with universal principles on human rights, labour, environment and anti-corruption, and to take actions that advance societal goals. With the UN Global Compact, we have formalised our commitment. We wish to become more transparent in our sustainability efforts and contribute to sustainable development. We believe that the UN Global Compact framework can help us with this”. The commitment to the UN Global Compact is in line with Falck’s overall focus to increase transparency and strengthen the governance processes, and the framework for Falck joining has been developed since the summer of 2018. Other initiatives in 2018 included roll-out of an updated whistle-blower system, Falck Alert, and implementation of a new global and online Code of Conduct, supplemented by updated and new underlying policies, also followed by an updated annual compliance risk self-assessment and human rights impact assessment. Falck’s 2018 Sustainability Report is available at falck.com. It will serve as the baseline for Falck’s future annual communication on progress to the UN Global Compact. The UN Global Compact is a voluntary initiative which encourages businesses to align their operations and strategies with ten universally accepted principles in the areas of human rights, labour, environment and anti-corruption, and to report on their implementation. The UN Global Compact was launched in 2000, and has more than 13,000 signatories among companies, organisations and cities. 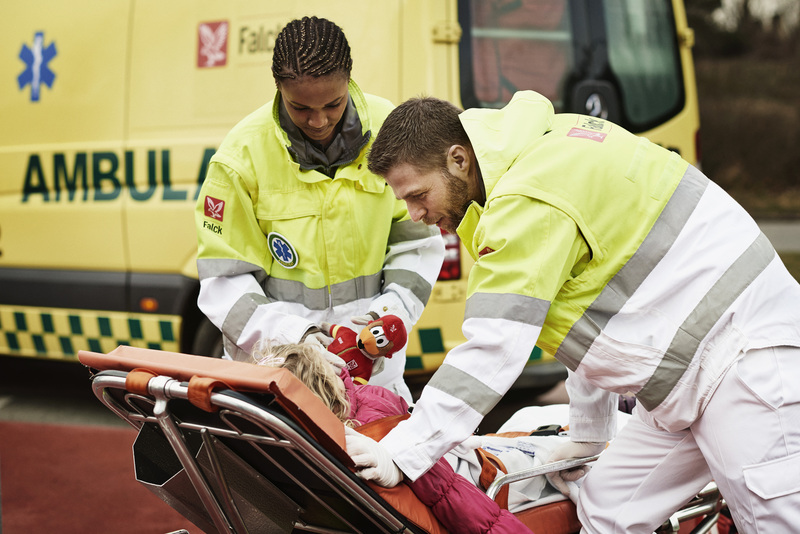 Falck is a leading international provider of ambulance and healthcare services. For more than a century, Falck has worked with local and national governments to prevent accidents, diseases and emergency situations, to rescue and assist people in emergencies quickly and competently and to rehabilitate people after illness or injury.